Even though I take steps to use herbs that are considered safe there is always the risk of allergy. Please be diligent when using ANY remedy. If you develop any signs; rash, hives or itching—stop taking the herb. Any symptoms of moderate or severe allergic reaction include difficulty breathing or swallowing, tightness in the chest, dizziness, vomiting, stomach cramps and/or nausea stop taking the herb and seek medical help. Handcrafted Herbal Syrups for Cold and Flu season. 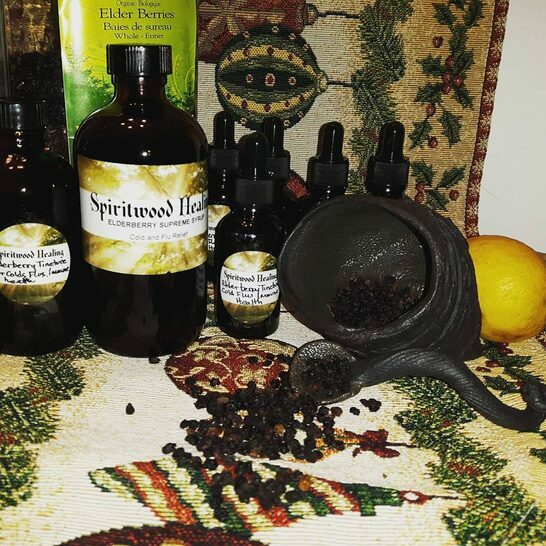 Organic Elderberry Supreme or Mullein Citrus Syrups contains herbs, ginger or citrus, raw honey and alcohol and/or apple cider vinegar, spices. 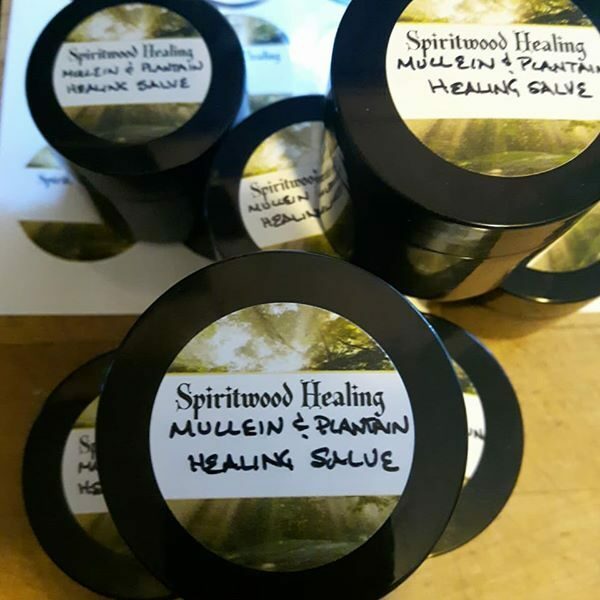 ​All purpose antiseptic, anti-inflammatory, pain relieving healing salve for scratches, cuts, insect bites, rashes, sunburn, hemorrhoids. 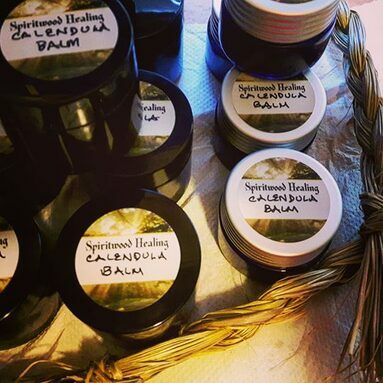 Handcrafted blend mullein & plantain infused grape seed oil, bees wax and lavender essential oil. *ALSO GREAT FROM MOM'S PREGNANT BELLY!! Elderberry has been used by the Native Americans as a healing medicine for generations. kills the H1N1 virus in the body. Elderberry also boosts immunity and is great for the whole family. Tinctures last for years stored in a cool dark place. 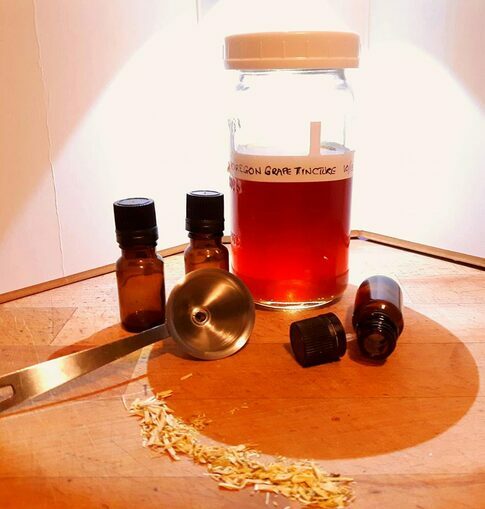 The main reason for creating this tincture is that alcohol is a much better solvent than glycerin or sugar water so it not only has the components of the syrup it also creates a stronger concentration to nurture the immune system...and contains no sugar. Dosage drops in HOT water will dissipate the alcohol if you would prefer a lower alcohol content. If fact in doing so the alcohol content is reduced to about the same as a ripe banana. Acne, appetite stimulant, arthritis, bile flow improvement, blood purifier, colds, conjunctivitis (pinkeye), constipation, cough suppressant, diarrhea, digestion, disorders of stomach and intestines, diuretic (increases urination), dysentery (inflammation of intestine), fever, flu, general health maintenance, gonorrhea, heart disease, hemorrhage (bleeding), hepatitis (liver inflammation), herpes, immune system regulation, infections, jaundice, skin diseases, sore throat, syphilis, tonic, tuberculosis, urinary tract infections, vaginitis, yeast infection. 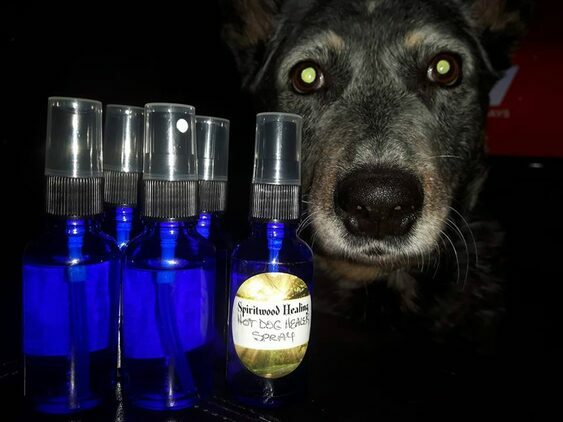 Hot Dog Healer Spray for Hot Spots!! Hot Spot Spray for your best friend! Hot spots are the worst! Just ask your dog! They're itchy, painful and stressful. This healing spray provides relief and healing as well as protection against secondary infection. Use 2-3 times a day. Safe for dogs. The statements regarding these products have not been evaluated by the Food and Drug Administration. These products are not intended to diagnose, treat, cure or prevent any disease. The information provided throughout this website on various products is for general information and educational purposes only, it is not intended to be a substitute for informed medical advice or care. You should not use this information to diagnose or treat any health problems or illnesses without consulting your pediatrician or family doctor. Please consult a licensed physician with any questions or concerns you might have regarding your condition. All images on this site are property of the original image licensors. The content of these images is not meant to suggest that the person depicted uses or endorses our products or services. 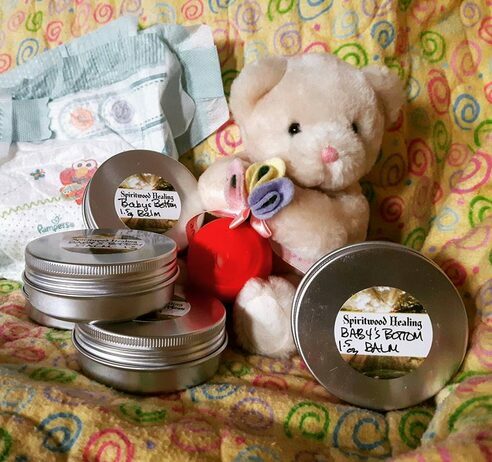 While we work to ensure that product information is correct, actual product packaging and materials may contain more and/or different information than that shown on our Web site. 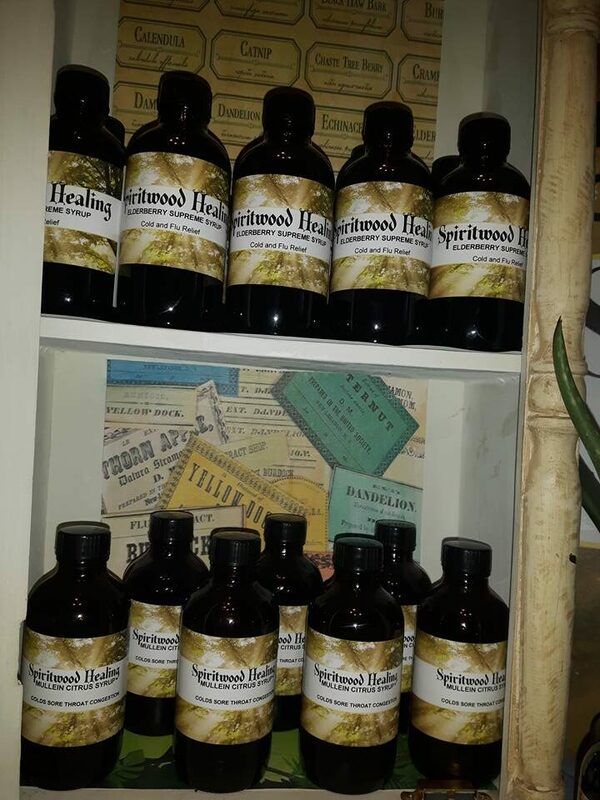 We at spiritwoodhealing.com and/or it's proprietors assume no liability for any descriptions of these products or for inaccuracies or misstatements about products. We recommend that you do not solely rely on the information presented and that you always research herbs, read labels, warnings, and directions before using or consuming any product. 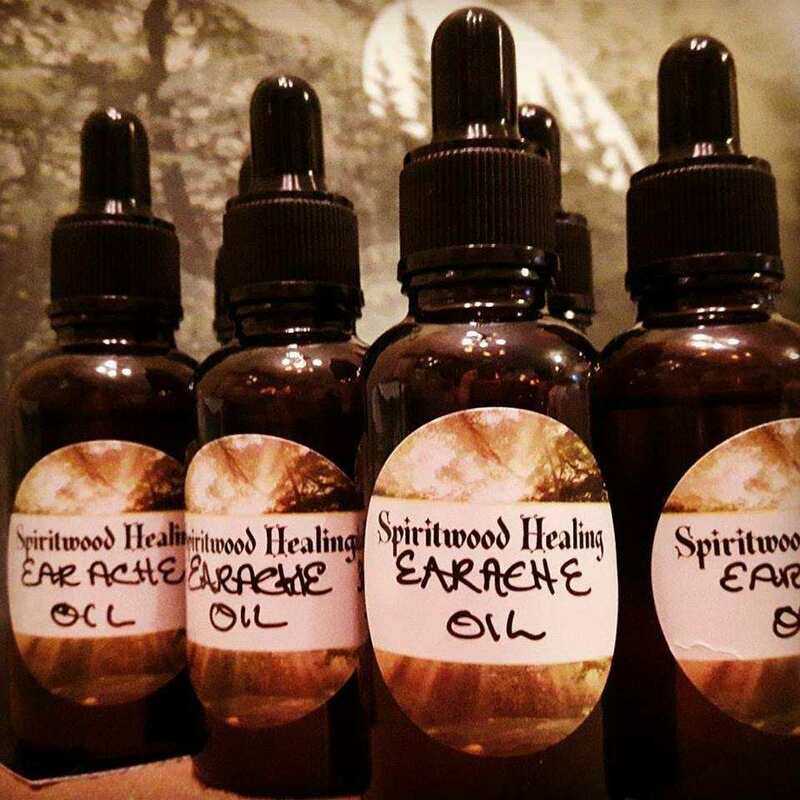 Also spiritwoodhealing.com and/or it's proprietors assume no liability for any injury, illness or adverse affects caused by the misuse and/or use of these products or for inaccuracies or misstatements about products. 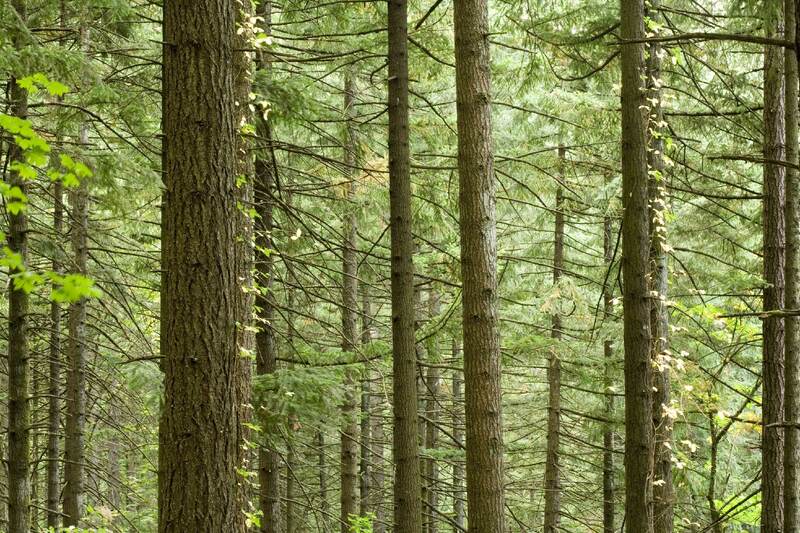 All ingredients used in the manufacture of our health and wellness products are FOOD GRADE and of plant origin. All ingredients are classified as GRAS (Generally Recognized As Safe). No synthetic colors, dyes, fragrances or additives are added to any product. I make every effort to source certified organic plant and product or use those grown in my herb garden as well as locally sourced raw unpasteurized honey.